Pieces and parts to be used later. Baba Yaga. Witches on the brain lately. 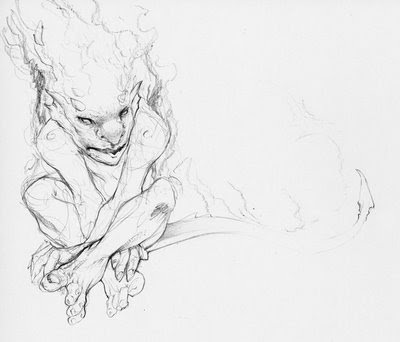 Pencil...a creature from my current project. Another sketch. Just exploring some ideas.